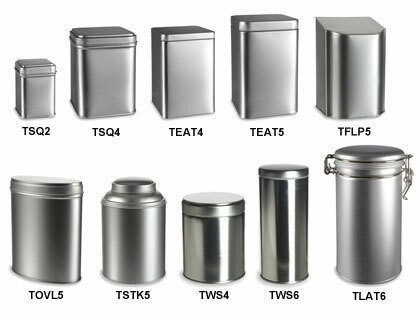 This collection of tea and storage tins features a wide array of shapes and sizes. Each tin is food grade and made of high-quality tinplated steel. Use for loose-leaf or bagged teas, herbs, spices, baking mixes or general kitchen organization. All prices include body and lid.